What a great location in the North east part of Chico and conveniently located near shops, schools & businesses. This home features high ceilings in the living room, dual pane windows, newer ceiling fans and light fixtures. The kitchen has a completely updated Kitchen that is easy to work in, solid surface counters, tile floors and stainless steel Oven and microwave and picture windows showcasing the quaint backyard. The bathrooms have also been updated and include solid surface counter tops, tile shower and a jetted tub to relax in. The home sits on a cul-de-sac and also has a wonderful fenced-in backyard with a covered patio Mature trees and shrubs surround the backyard lawn, all on a automatic sprinkler system. 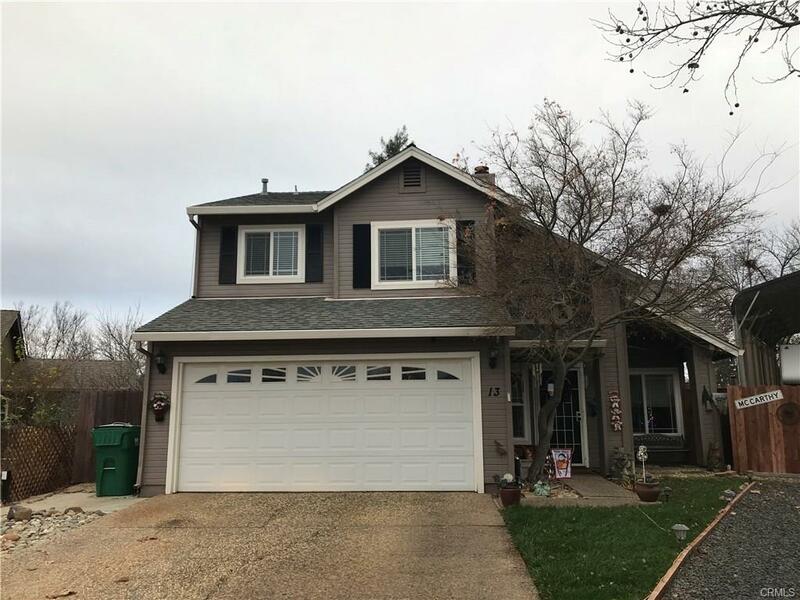 This comfortable home has been completely update recently and show so well, Dont forget the over sized covered RV parking in the back to keep your RV out of the weather, make sure you see this turn key home as its sure to sell quickly, Contact us to schedule a showing.